Welcome back! 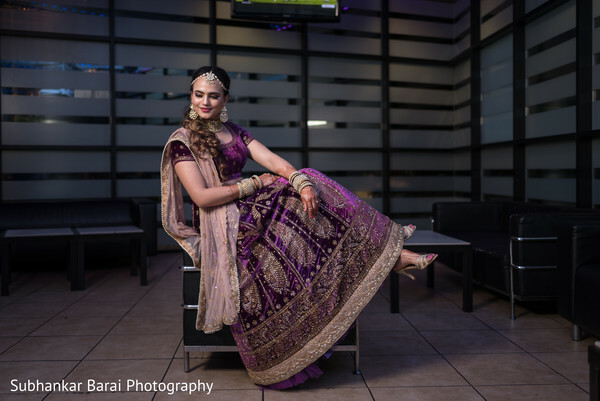 There is just something so royal and sultry of brides wearing eggplant purple for any one of their ceremonies. 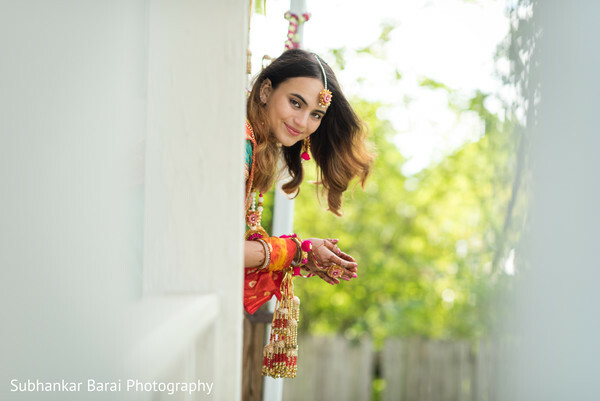 For Natasha’s lavish sangeet held at Babalu’s, this bride knew she had to wear an ensemble that set her off from the crowd. 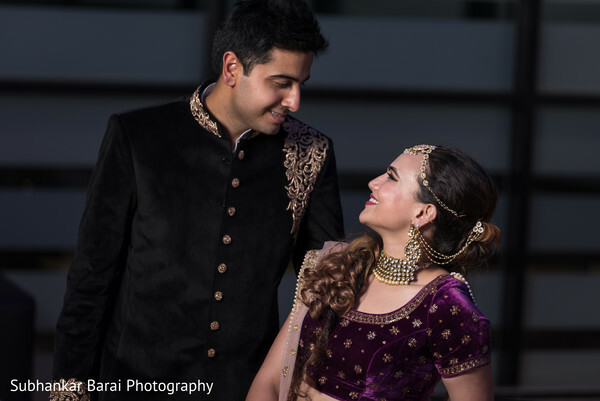 The velvet lengha was purchased from Ritu Kumar. 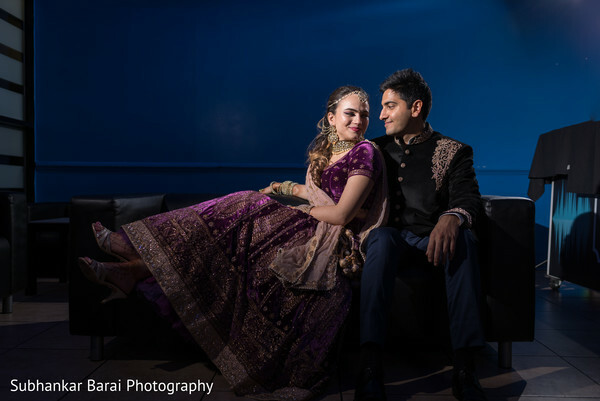 Imran donned a black and gold anarkali with patch border trim that was an excellent contrast to the shades of purple that rivaled his wife’s ensemble. Guests were treated from dessert crafted at Jerusalem that satisfied everyone’s sweet tooth. 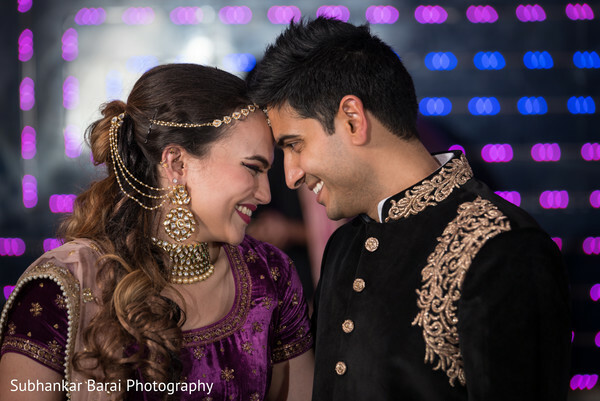 The night was full of dancing and celebratory action as both the bride and groom’s family got a chance to mingle and get to know each other. 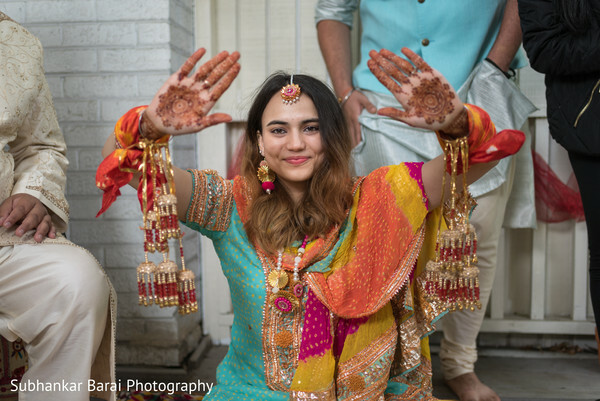 The next day, the bride’s family held a bangle ceremony where Natasha chose to wear a multifaceted salwaar that just pops from the screen! 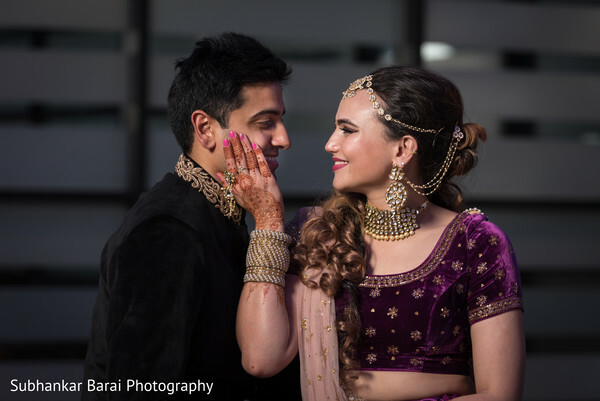 If you missed the pics from the mehndi night, head into the gallery for the perfect set of images curated by Subhankar Barai Photography. One more stop for the reception coming right up!